← Website back up and running! 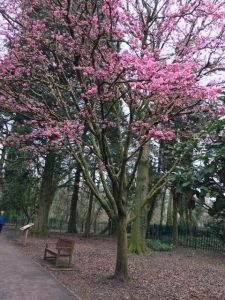 It is always great to welcome Spring into Cefn Onn! 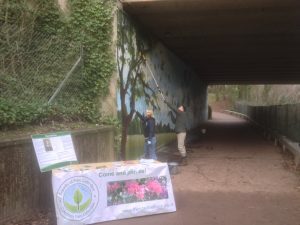 We have (carefully) spring cleaned the mural and the Formosan Cherry (a species of cherry native to Japan, Vietnam, China and Taiwan ) is one of our early bloomers.